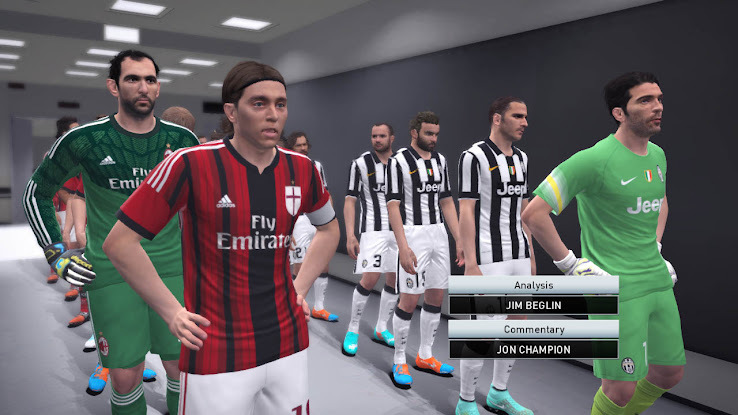 Juce has done it again and version 1.1 of his PES 2015 Sider Tool, which enables free side select in all PES 2015 modes now also allows users to unlock entrance scenes for all PES 2015 matches on PC, which was previously only possible on PS4 and Xbox One. PES 2015 Sider 1.1 has to be placed in any folder you have full access over and started before the actual Pro Evolution Soccer 2015 executable file. For more detailed information about how to use PES 2015 Sider 1.1 and 1.2, check the content of the download. See readme.txt and sider.ini. In the sider.ini, it is the cut.scenes = 1 setting that enables the Entrance scenes. If you don't want the "free side select", you can just disable the other two settings (set them to 0). This video is showing the newly unlocked PES 2015 PC Entrance Scene. Juce meanwhile released another version to fix the issues with the game getting stuck when exiting to Desktop or other programs.